Read and post your review! 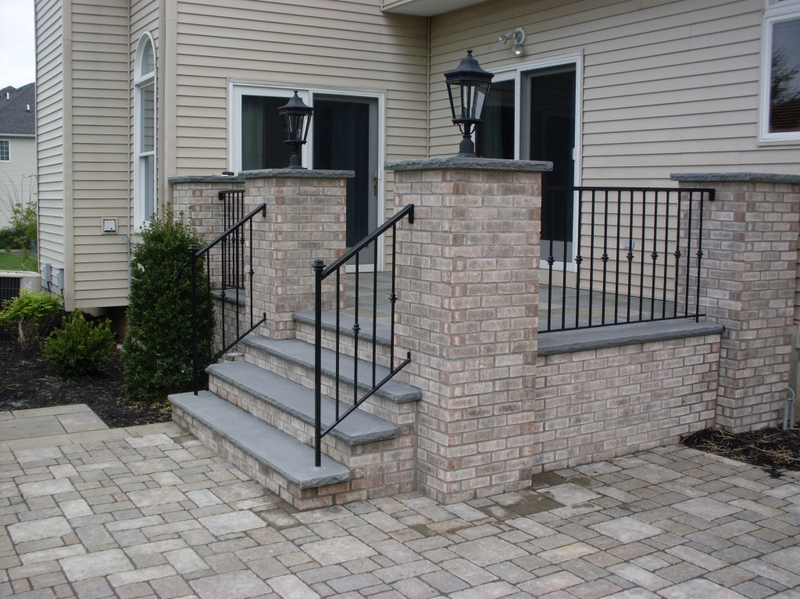 We have recommended Avellino Custom Masonry to our customers for years. After seeing them work for everyone else, we finally had the pleasure of hiring them to work on our kitchen and bath showroom. Avellino's rebuilt our front patio and our side ramp. They have some of the nicest and hardest working masons you will ever meet. They worked from 8am until 5pm everyday, with hardly a break. When it was all said done, not only did we have a great experience, but we have the nicest patio in town! The crew from Avellino did a tremendous job rebuilding our front porch and repairing our chimney. They arrived on time each day and worked until they had to each day. The area was cleaner when they left than when they arrived. Everything was tarped, moved out of the way to avoid damage and returned when the job was done. Job completed on time with no surpises. I would recommend them. I've worked with the Avellino crews for 8 yrs. Their attention to detail quality is matched to no other. They spare no expense to make sure their customer is absolutly satisfied. The Avellino crew is top notch!!! I can't say enough about Avellino. Almost 15 years ago they installed new steps and a walkway for us that we just loved. Now 15 years later, we are getting ready to add a Portico to the front of our house and our contractor recommended that we hire a mason to have the steps re-set since over time they had loosened a bit and he didn't want the the weight of the portico to be an issue. I immediately called Avellino because over the years we have recommended them and everyone has always been so pleased with their work. As always, I got an immediate phone call back from them to arrange for one of their guys to come out and take a look and ultimately they sent one of their workers over to re-set the steps. Their workers are always so neat and courteous. Much to our pleasant surpise, Avellino told us that they were not going to charge us to re-set the steps. Talk about a company that stands behind their work! My contractor was so impressed that he has already given Avellino's name out to some of his customers. 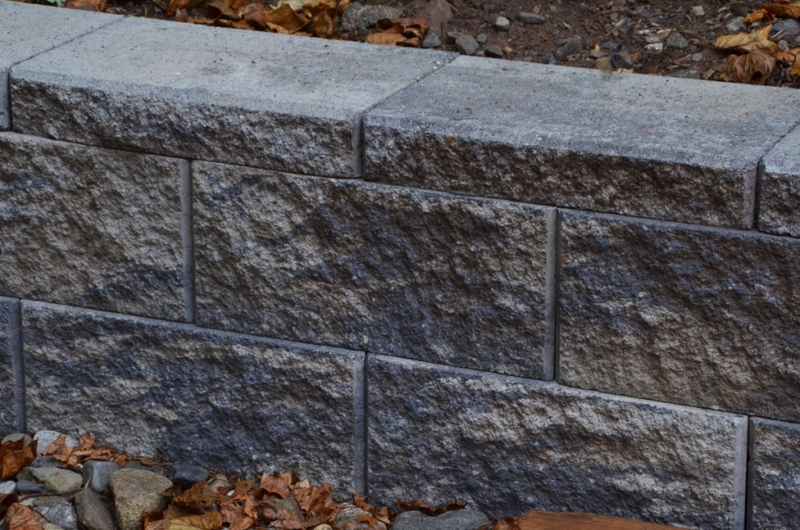 For any masonry work in our future, we will ONLY use Avellino. 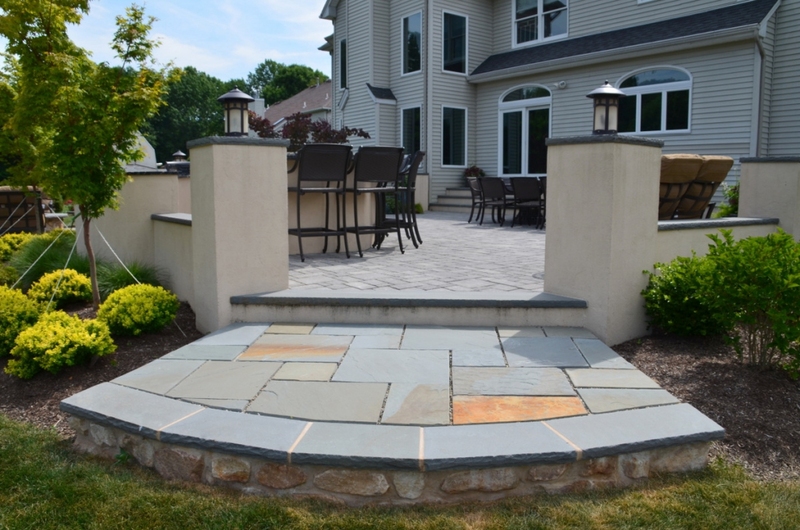 We are thrilled with our patio, designed and constructed by Avellino. They custom-built our 9-seat bar with sink, fridge, ice maker and grill. Our new fire pit is absolutely beautiful. Nothing slows down the Avellino team. They worked tirelessly in pouring rain and inches of mud and maintained their extremely positive attitude. They are proud of their work and should be -- such impressive craftsmanship! They sweat all the details so we didn't have to. They're courteous and neat -- even swept our whole garage just because they stored some materials inside. We believe we got the very best value from Avellino. We're enjoying our patio and all the compliments that have come with it! Thank you, Avellino! Masterful, old world craftsmanship. 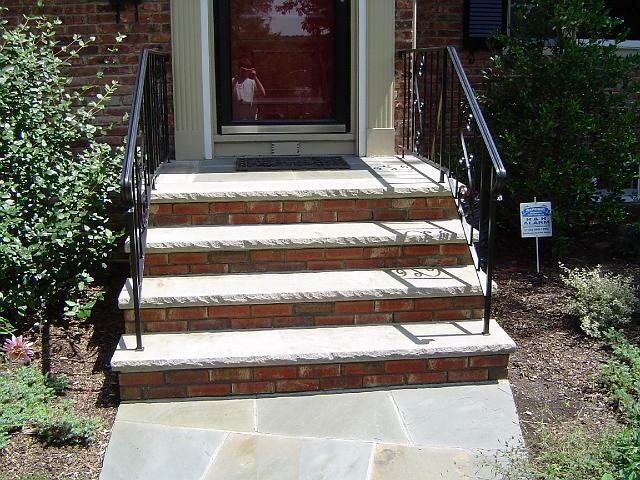 Our 60 year old front steps and landings needed replacement. Avellino designed and constructed a complete replacement using matching brick, bluestone, and grout which resulted in a natural transition which enhances and updates our home. The construction crew completed the job in 5 days, despite a very rainy week. This has been our best experience dealing with any contractor. Thank you Adam and your entire team. 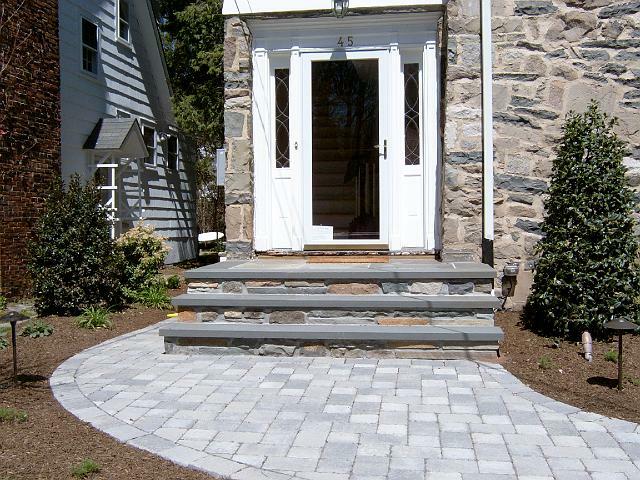 Avellino did an absolutely fantastic job redoing our front steps and long walkway in a timely fashion. At every step of the process, we were completely satisfied with the management's and work crew's customer service, high quality workmanship and overall professionalism. Billy runs an impressive operation. We are thrilled the way the front of our house now looks and highly recommend Avellino based on our experience. In fact, if you would like to talk to us directly about our experience, I will advise the company that they can provide you with my phone number. Over the last 6 years, we have slowly refurbished an old home. 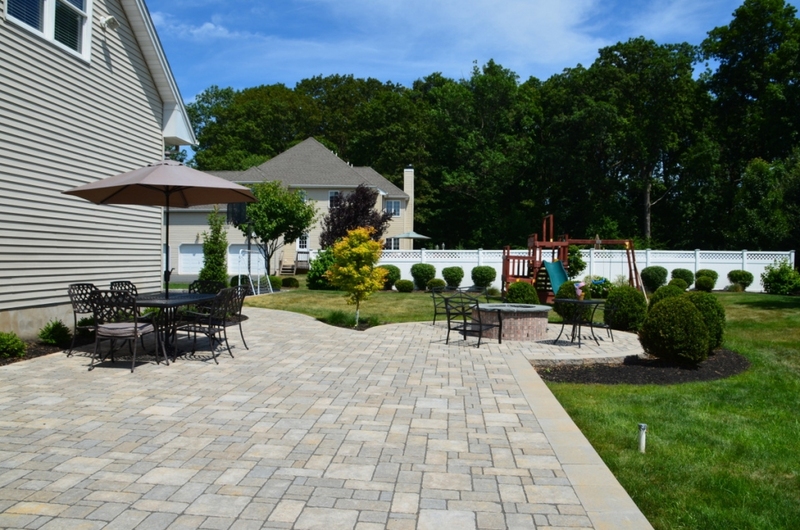 We have used Billy Avellino for every exterior hardscape job -- from ripping out an asphalt circular driveway and regrading the area for flower beds and a gravel driveway to extensive exterior patio, wall, pool deck area, sidewalk and pathway work. We obtained multiple bids on the 1st job but have never done so since. Avellino's prices are always fair especially when you consider the amount of work they do and care they take on each project -- large or small. What a mess! A thousand gallons of heating oil had leaked into the soil, and when they removed a contaminated tree, the driveway retaining wall would need replacement. Well, it was a three year job for the oil clean-up, and then Avellino came onto the scene and made it all incredibly beautiful (and functional) with a new driveway, new drainage systems, new patio and new retaining wall! And a happy ending! As freshly-minted, first time home buyers, we were pre-maturely forced into a large, daunting masonry project involving our front patio & stairs. Complicating the project further was our desire to maintain the design of the original. This included a style of brick, which is diffult to source and match. Billy & Adam & their crew were the ONLY contractors out of nearly a dozen, who appreciated maintaining the design,lines,& material of our mid-century modern home, and pursued doing so without hesitation. Their crew was all those good things you hope for; on-time, diligent, conscientious,respectful, clean, industrious & used great ingenuity in working on our steeply sloped property. When a few design problems arose, they were addressed promptly by Billy himself, followed by the rest of the staff. The crew even came on part of a Sat. & Sun. (in POURING rain, after a full week of work)rigging tarps and buckets to get the job completely polished off. 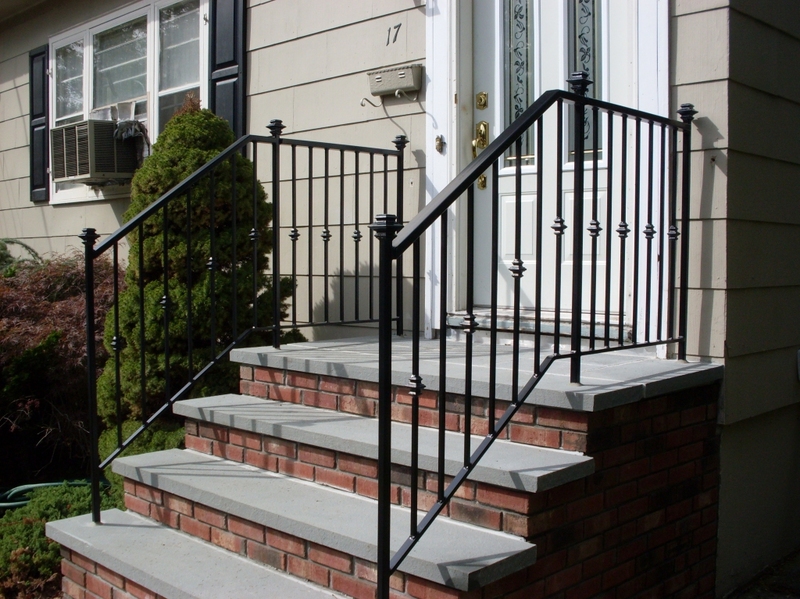 Compliments from the neighbors, & the railing that was installed by Billy's recommended contractor, have been the icing on the cake. Six months later, I still smile when I walk up to my front door. 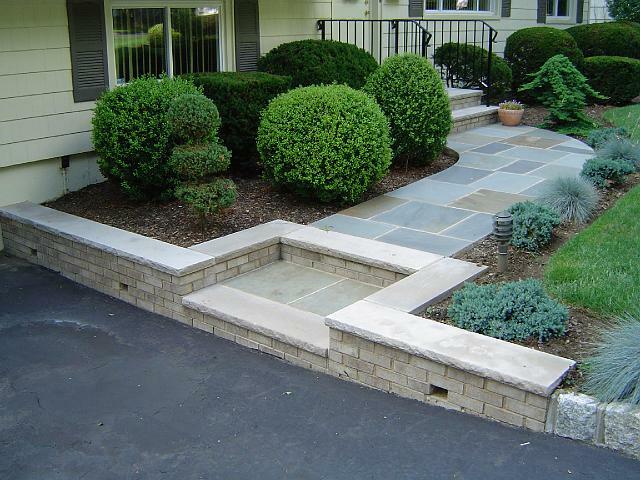 In August of 2009, Avellino Masonry redid my back steps, retaining wall and front walk. Their bid was competitive;the sales presentation truthful and direct;and the work was performed professionally, efficiently, and enthusiastically. The clean up of the site upon completion was thorough. Thank you Adam, Billy, Bardo and all of your crew. Job well done! We can't say enough great things about Avellino. They recently put up a new retaining wall for us, as well as new front and back steps and platforms. The job turned out to be a bit more complicated than originally anticipated but everything was taken in stride by the great crew. They showed up early every day and stayed late to get the job done - and done right! Everyone was professional, courteous and responsible. Our wall and steps never looked better and we couldn't be happier with Billy, Adam and the whole crew at Avellino. Thanks so much for a job well done. 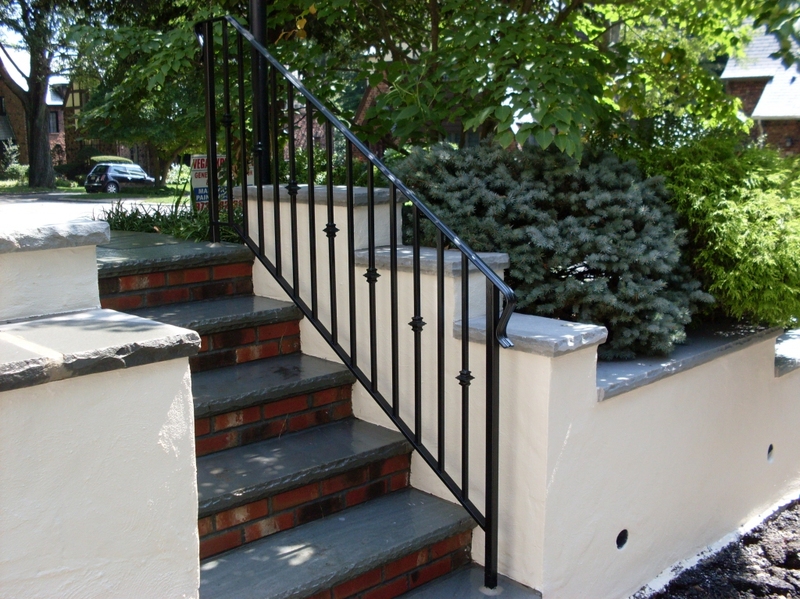 We recently (Nov 2009) hired Avellino to rebuild our front stoop and walk and were very pleased with them. First of all, they did an outstanding job - all of our neighbors have made a point of commenting on how good the new walk looks. But, just as importantly, they were reasonable, responsible, and professional in every aspect of their relationship with us - a real pleasure to work with. We'd enthusiastically recommand them to anyone. 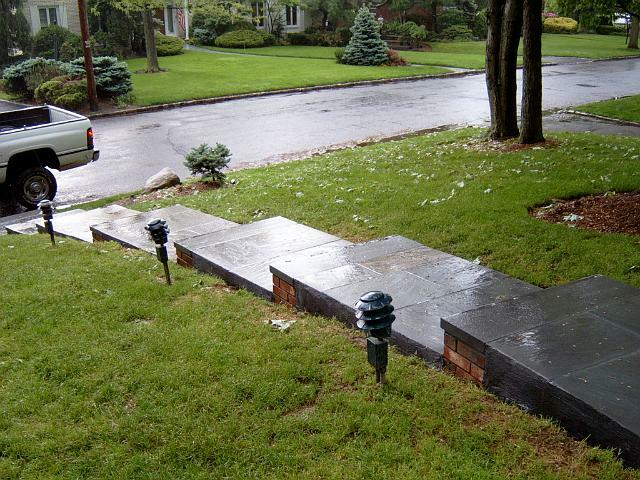 I had Avellino rebuild our front steps based on a friend's glowing recommendation. Adam was very patient with my questions when he showed up to do the estimate. His paperwork included proof of liability and workmen's comp, sure signs of a serious company. Avellino's crew showed up on the day and time scheduled (no small thing) and finished the work in one day as promised. They were very conscientious about cleaning the driveway and sidewalk and removing every bit of debris. Working with Avellino was a pleasure. We had a water problem in our basement since the day we purchased our home in 1988. Although not severe at the point of purchase, the problem worsened as time progressed. 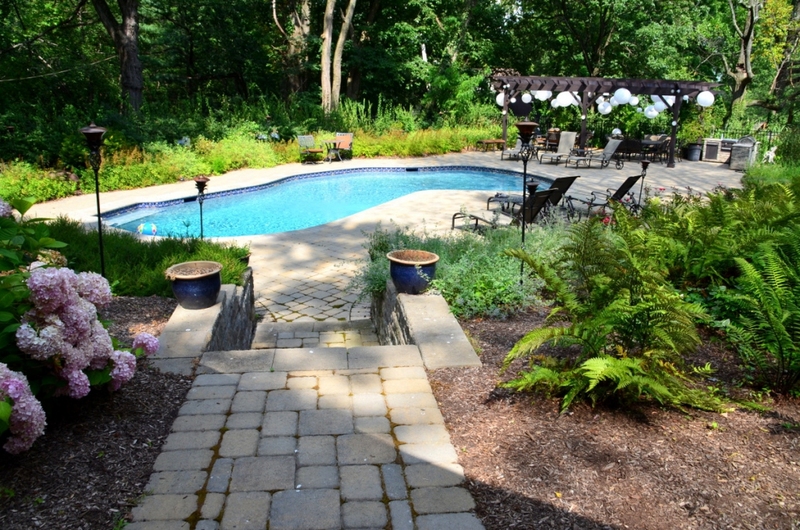 Avellino waterproofed the entire basement which enabled us to utilize it as an entertainment and recreational area. They performed the work in a professional manner and we have not had a drop of water penetrating the foundation walls since. 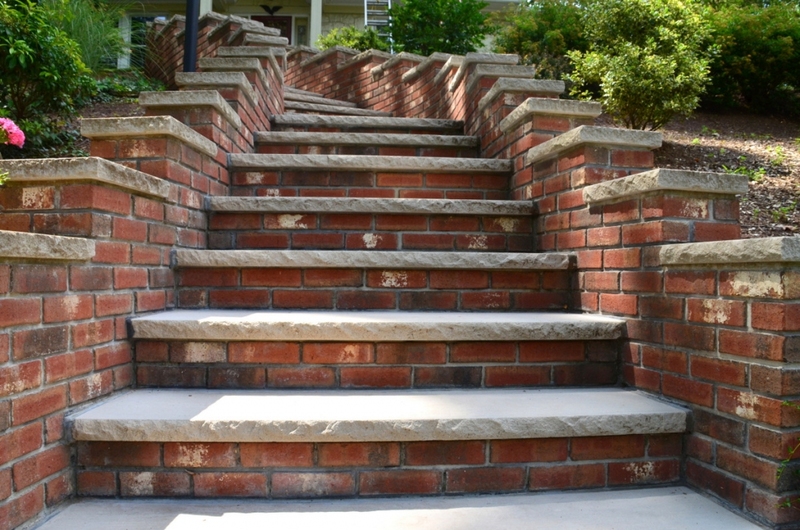 Therefore, without reservation, I recommend Avellino for your masonry and waterproofing needs. We had the pleasure of working with Billy, Adam (owner and estimator) and his crew of men installing our cobblestone looking paver driveway. They were very professional and courteous. It was very cold outside right before Thanksgiving and they worked early and late in order to finish before the holiday. We are thrilled with the results. I have worked with many companies and they are right at the top of the list. They were interested from the beginning to the end. You can call me if you need more details. I have lived in this area for over 30 years and I wish all the workmen were like their crew. He told me that he was associated with the BBB & didn't have any complaints filed against him. I can see why. Avellino recently replaced our front steps and path. We couldn't be more pleased with the finished product, as well as the process. The crew was efficient, professional, and courteous. The front of my house looks completely different and we even had someone in the neighborhood stop by on the first day to admire the work! We highly recommend them to anyone who wants a high quality job done by honest people. Avellino did a wonderful job on steps in our backyard. 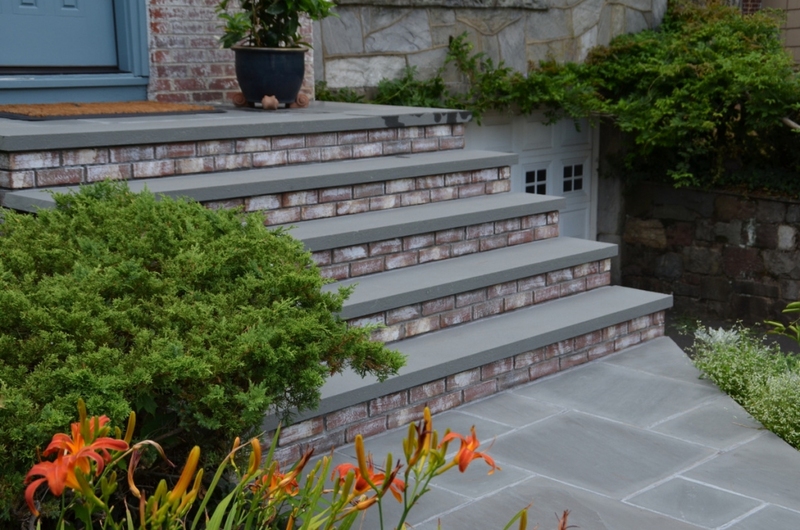 We needed the steps done in a hurry and they accommodated us without sacrificing quality. We were extremely pleased with all their work and friendly service. 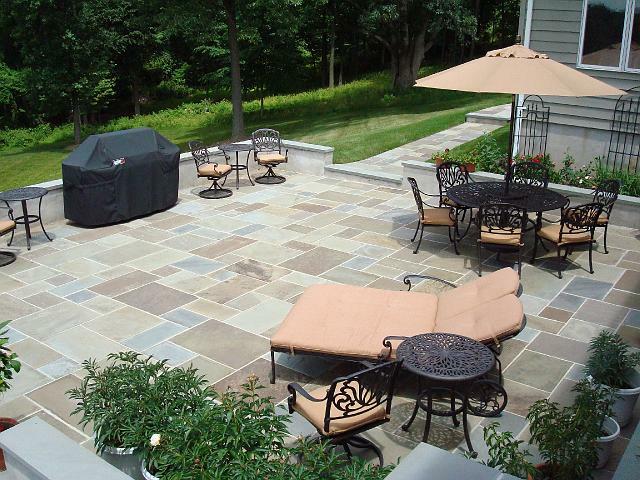 Avellino was recommended by friend's from the Maplewood, South Orange and Millburn area for a patio we did last summer. We found their work to be first class and made a big improvement in the overall look of our home. The workers took great care in making sure the area was cleaned every day. We were so pleased that we brought them back this year for a home waterproofing job. Not one drop of water after all the rain this year! Highly recommended. Avellino recently replaced our front steps. Their crew was professional and courteous and did the job in two days as promised. They cleaned up everthing - no one would have known they were there. The steps came out better than we thought they could and has improved the curb appeal of our home. 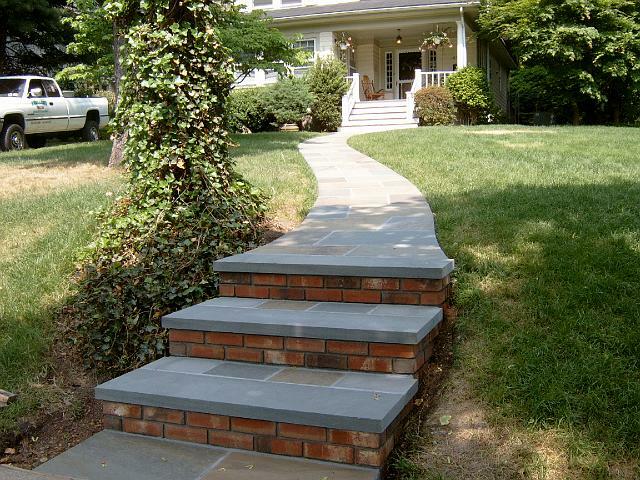 Our project entailed removing and replacing the front steps and walkway leading from our driveway to the front door. The team started Monday morning and worked late into the evening for the rest of the week. Everyday we were surprised by the progress. Since we were not there during the day our neighbors told us on how professionally the team handled themselves with respect to our property and theirs. We knew going into this project that the outcome will be great but we were really surprised at how wonderful it looks. Neighbors and passersby’s tell us the house looks impressive. We highly recommend the organization as a professional team delivering a professional product. Avellino’s replaced our front porch and sidewalk, and even though it was a small job, they treated us with importance of a larger one. We had such a positive experience that we went straight back to them to replace the pedestrian sidewalk, refinish the driveway, and install a new back patio. The owner and sales staff went above and beyond to make sure we were happy, from being prompt with returning phone calls to making design suggestions and dropping off product samples. The work crew is clean and courteous, too. Each night, they cleaned up like it was their last day there. They even went as far as putting my recycling bins back in the garage after the garbage was picked up! I would gladly recommend Avellino’s to anyone for projects large and small. We were incredibly happy with the work the Avellino team completed on our front porch and walkway -- on time and to exacting standards. We're so pleased that we're having them come back this fall to build a patio and fire pit in our backyard! The team from Avellino took on several projects simultaneously for us -- reseting a retaining wall, waterproofing our garage, replacing a defective drainage system, and installing cement pharging around the house. All excavation was done by hand with great care. The entire team was very professional and thorough. We were looking to have our backyard completely redone, including replacing a patio, retaining walls, new gardens and waterproofing the back of our house. Billy, from Avellino worked with us to come up with a great design and then presented a quote that was better than all competitors. The Avellino team completed their work in unbelivable time and in a very professional manner. The results are even better than we expected. We are extremely thrilled and would recommend them to others in a heartbeat. I highly recommend Billy and his team at Avellino. We had a beautiful patio and fire pit masterfully constructed this spring. His team arrived early each morning and worked tiredlessly all day. I am so impressed with the quality of the job. Trust Billy he really has a true vision. It was hard for me to envision what our patio would look like. His expertise helped steer us in the right direction. I love the bluestone and brick choices we ultimately selected. I can't say enough about our experience with Billy and the rest of the Avellino team. Thanks for giving us the backyard we always wanted!!! Our front and side entrance and back patio were suffering from decay missing bricks and aesthetically looked bad. 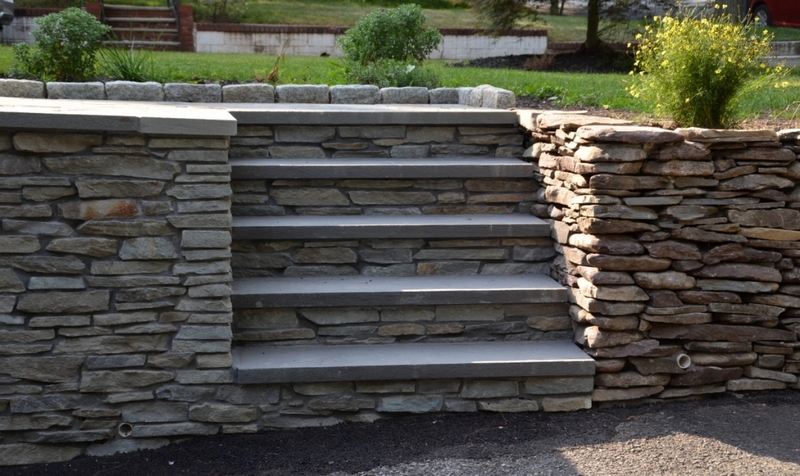 We got proposals and estimates from several masonry contractors and subsequently selected Avellino based on high quality workmanship, strong references, competitive price, accessibility, and professionalism. The workers were hard working and so professional from begining to the end of the project. At the end of each work day our property was swept clean which helped us contain alot of the dirt and debris from entering the inside of our home. We were very happy with the end result. It was a big job.The stones used were selected to keep with the integrity of our home which is over 85 years old. Billy Avellino and the entire team did an excellent job. Great work guys! Thank you very much. Quite simply the best contractors we have ever worked with for any project, inside or out. 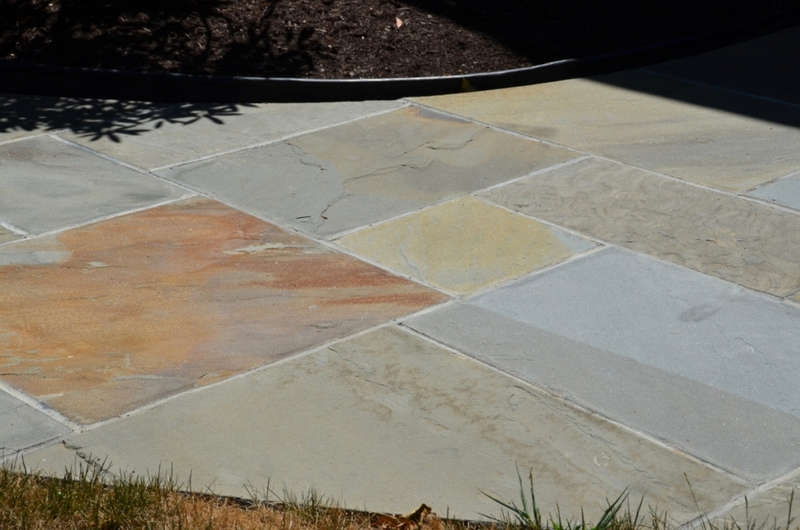 The crew that did our landscaping project were consistently on time, meticulous courteous, hard-working and thorough. The price was exactly what they said it would be and they worked within our budget. THE BEST!! We are looking forward to hiring them next year for more work. 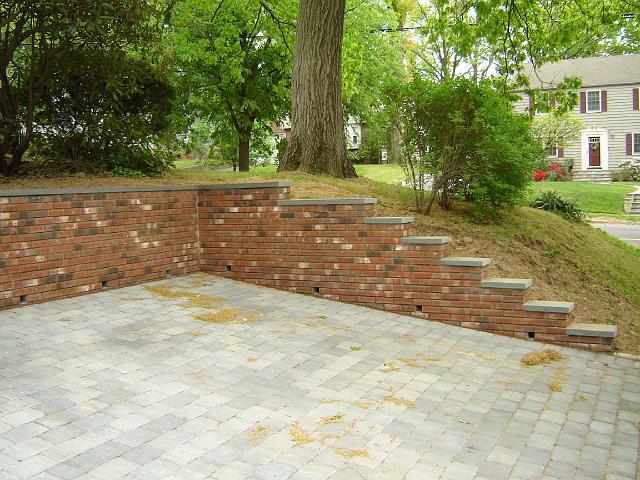 Avellino Masonry was by far the most professional contractor that I have ever had the pleasure of dealing with. They provided quality, old-world craftsmanship at a reasonable price. They were prompt, courteous, accommodating and clean and went the extra mile for us. We were consulted at various stages of the job to make decisions that were made easier by their expertise and suggestions. Customer satisfaction was their focus throughout the entire job. As far as I am concerned, they are the best. Gints Gulbis Quality 3 / 3 As a part owner of construction company DOMITEK I have always trusted Billy and his team to take care of our masonry work. We have worked on numerous projects in past three years. Again and again I appreciate their professionalism and friendly way of doing business. They are always presentable, knowledgeable and hard working. 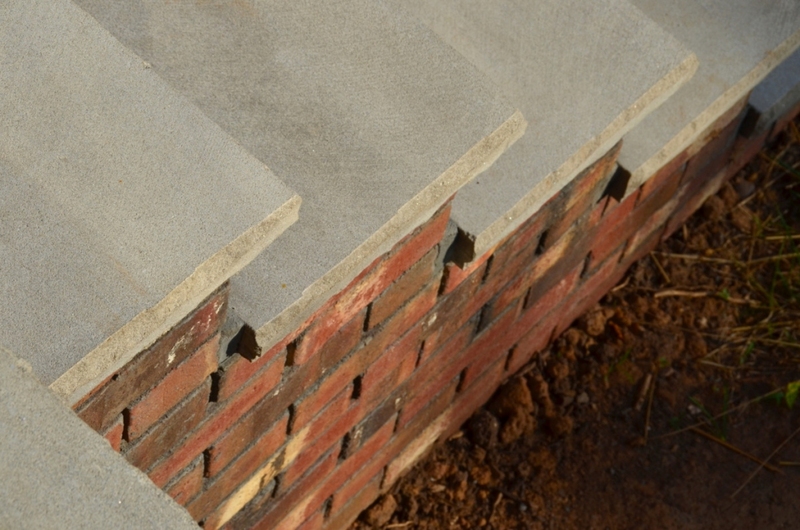 One of the additional benefits of working with Avellino Custom Masonry is integrity of people leading the company. I enjoy working with people who do what they say they are going to do! I recommend them to private homeowners as well as construction pro's - you will be pleased to have them on your project team! Billy and his team are by far the best group of individuals we have ever hired! They installed french drains inside our house and re-routed all of the downspouts outside to take advantage of the natural grade. Their guidance and suggestions were insightful and helped us through some difficult decisions. The team was professional, on time (every day), and their workmanship was fantastic. We could not be happier with the results. 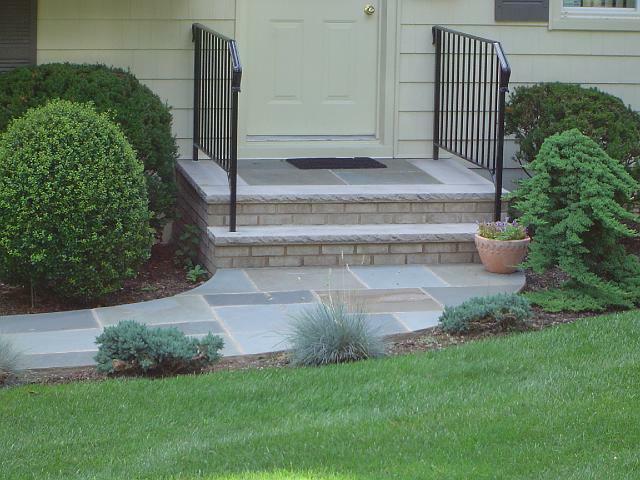 Avellino has been purchasing high quality mason materials from us for approximately 25 years. He has remained a professional, valued customer. Bill has followed in his father's footsteps, who also bought mason materials from us for decades. Avellino first worked for us in the fall 2011 to install french drains in our basement. We received quick, professional service and a good price. They really earned my trust when a fender bender with one of their trucks was handled with no run-around and with respect for my time. Our second, and more substantial work with Avellino was done when my landscape architect had to cancel a patio and landscaping job on our very-in-need yard. 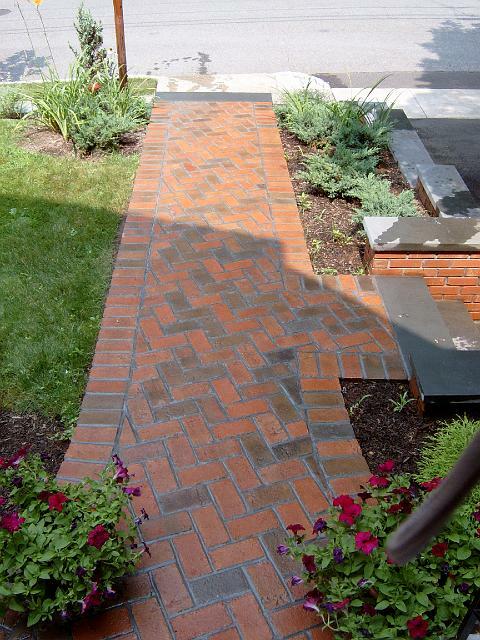 For less than her price, Billy's guys followed her plan and did a fabulous patio and even put in the landscaping around it; and in addition we got a front walk and they buried our downspouts- all for less than she was charging. I'm glad she backed out because Billy, Adam and the guys were prompt, professional, nice, responsive and organized. It looks beautiful. I cannot say enough about Billy and his team at Avellino Custom Masonry. Once initially contacted, an appointment was scheduled and we were well on our way to contracting Avellino to install 5 pumps in the basement of our Credit Union. Avellino's team started work as scheduled, performed an excellent job, were immaculately clean and exceptional work ethics that are very difficult to find. We also needed plumbing in addition, where Avellino recommended a contractor that was equally capable of perfoming all necessary work. While involved in the project, Avellino detected a serious piping issue outside the building that was causing additional water--5 other contractor estimates prior failed to diagnose this issue. As project manager, I am very pleased with Avellino's performance. They will come highly recommended for a job well done! My wife and I are elated that Avellino installed a French drain & sump pump in our basement. It took their crew 2 days and they worked non stop and even cleaned up well. I am glad my wife and I decided to hire Avellino for the job. We will hire Avellino again for future masonry projects. We just wanted to let you know that, thanks to the work you did for us last spring, we were untouched by the effects of Hurricane Irene and have an entirely dry basement! Many, many thanks! We have lived in our historic home since 1991. 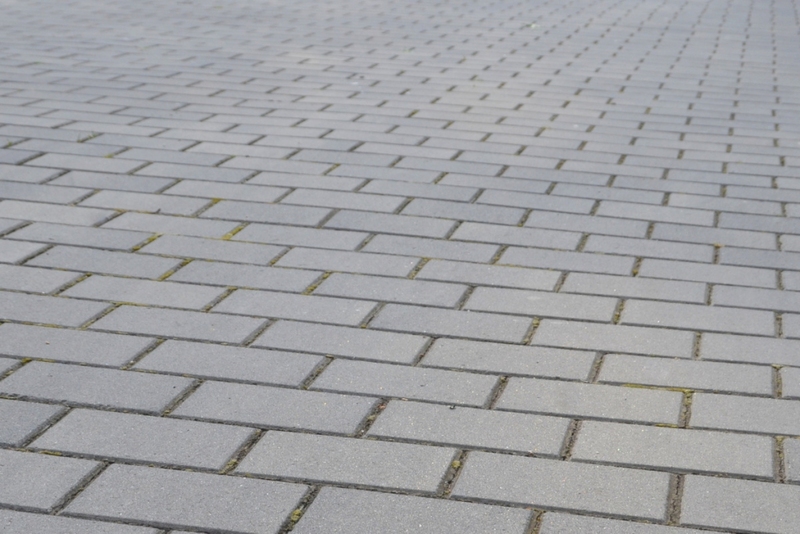 Although our equally historic driveway gave us many problems, we could never find an attractive, workable solution. We discovered Avellino in the summer of 2009. 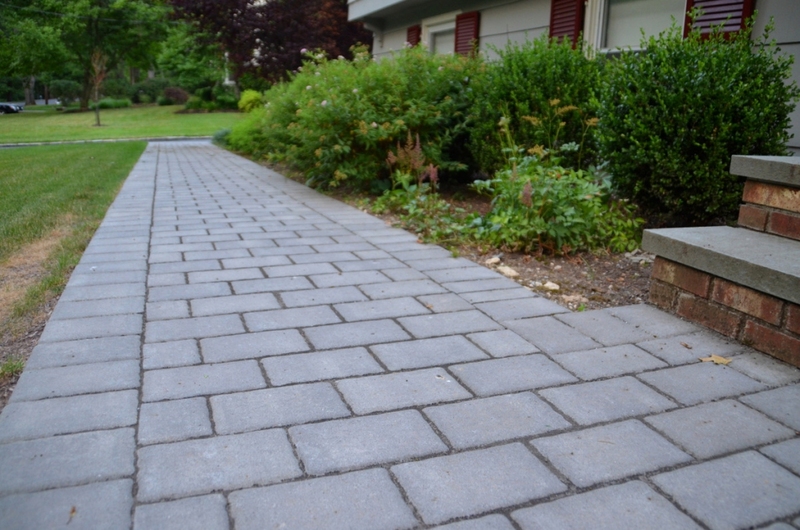 Avellino assured us that we could solve our drainage issues without sacrificing the character of our home. 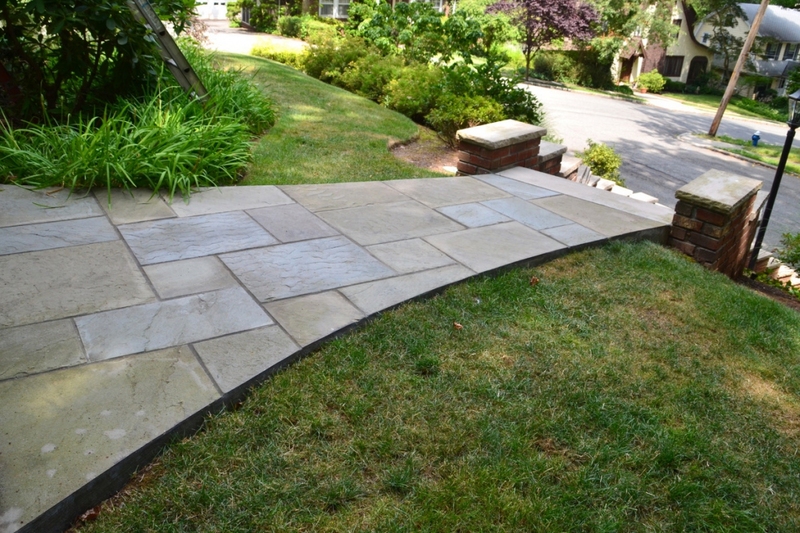 Billy spent hours laying out the driveway with Peter to ensure that the final look would suit us and our home. The results have been spectacular! 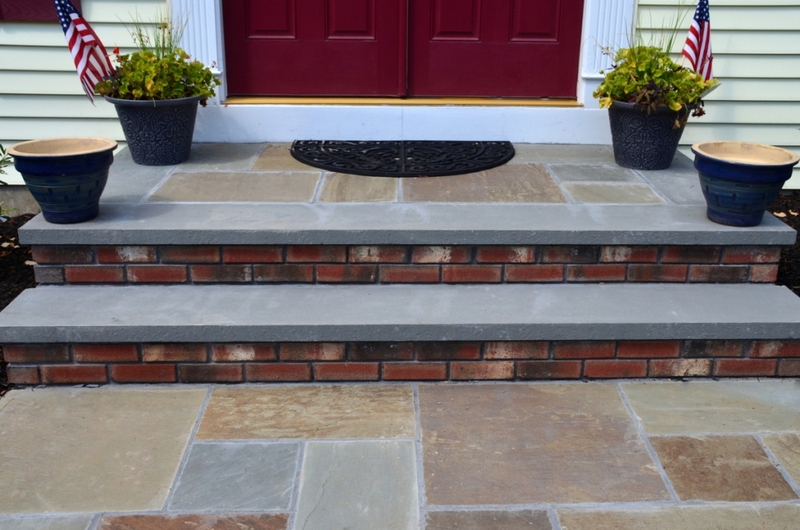 The stone and border are all in keeping with the overall look of our home. Water drains quickly no matter how much rain falls. We are delighted! Avellino performed stucco work on our home and my wife and I were more than satisfied with the job Avellino conducted. I am a fan of honesty and great service. Avellino displayed both. The price was fair and I would highly recommend Avellino to anyone. We recently bought an old house that needed work and hired Avellino to rebuild the top of the chimney which was crumbling. They did a wonderful job, finding new bricks to match the old to finish it off nicely and adding a damper. They were very professional, friendly and competitive on the price. I would highly recommend them. And I'm an architect. We have an awkward basement that we wanted to try and make more functional. We consulted with Avellino and ultimately came up with a plan that included lowering a portion of our basement floor and installing steps in other areas of the basement. The work was quick, clean and in every way expertly carried out. We were confident that Avellino could help make our basement a usable confortable space after doing such a great job installing our french drain a few years earlier. We not only have a dry basement, but now, we have a basement that we can use as a family room and excersise space. We would not hesitate to use Avellino in the future. Avellino removed and replaced my faulty french drain system in my basement. These guys (Adam and crew) were among the most professional people that I have dealt with in a very long time. Two weeks prior to beginning they gave a follow up call and again the day before beginning. I would not hesitate recommending them to friends and neighbors and will gladly use them again if necessary in the future. Great job on every level guys !! Avellino installed a partial french drain and new sump pump system in my water logged basement. They explained exactly what they would do, which is something most contractors don't (and won't) do. Their level of professionalism is unmatched and the quality of their work speaks for itself. They are on time, efficient professional and courteous. I highly recommend Avellino. We have worked with many contractors since moving into our house last May. Avellino was by far the most professional an easiest to work with. Their crew was fantastic. We wish we could use them for everything we need repaired. they fixed our water damaged basment wall in 1 1/2 days and we could not be happier with how it looks. Thank you! 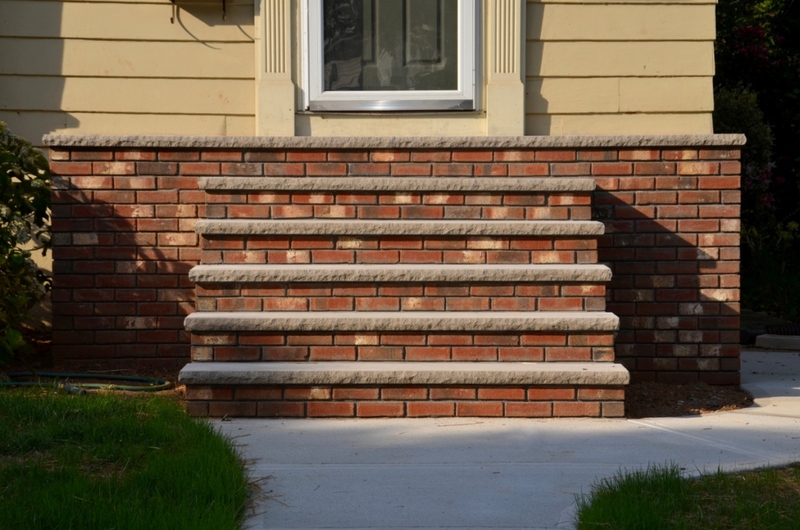 Avellino did a great job on reconstructing a brick planter and replacing limestone treads. They came when they said they would, were efficient and left everthing nice and clean. I had 3 quotes and they were the best. Avellino was recommended by an Assistant Town Engineer friend of mine to install a partial french drain and sump pump in my basement. It sounded easy but, with an old house, it never is. They handled my emergency water problem in a calm and efficient manner. They put me at ease and saved my finished basement. I would highly recommend Avellino to everyone. Avellino did a great job designing and then creating new front steps for our house which was really a challenge to work up a steep hill. The result was certainly impressive and the workers were a super crew! So far, Avellino has completed two jobs at our house. After months of water in our garage related to pool installation, in one day our problems were completely resolved! Everything was as promised, on time, complete cleanup and thorough job. Our current project is a new front walkway, new asphalt driveway with belgian blocks and underground drainage of gutter downspouts. Again, excellent work, old railroad ties removed without a trace and everything done on-time and professionally. We have recommended Avellino to all our friends. Avellino Masonry came highly recommended by a fellow realtor, so I already had high expectations when Billy and his crew showed up at my home to revamp our crumbling foundation walls and pour a new slab in our basement. They were amazing! More importantly, everything they said they would do....they DID! They arrived on time, did a great job, were neat and considerate of my home and property and brought the job in on time and at the cost they'd projected. I now describe them as the 5-star masons and refer them to all of my clients. I even recommended them on the Montclair Water Cooler and later got a call from someone who'd read the posting, thanking me for sending Avellino Masonry their way. Thank you, Billy, for all you do. I think it must take a lot to keep up the level of integrity that you do, but I appreciate it!